10 Watt, 4 channel DMX512, colour changing donwlighter. All applications where one wishes to change the mood in a room or change the lighting through colour changes on an object. The Martina offers no less than 4 different beam angles including a spot beam of 10° and an elliptical beam angle of 13° x 40°. A smooth and homogeneous colour mixing is seen, even with the use of the spot and elliptical lens. 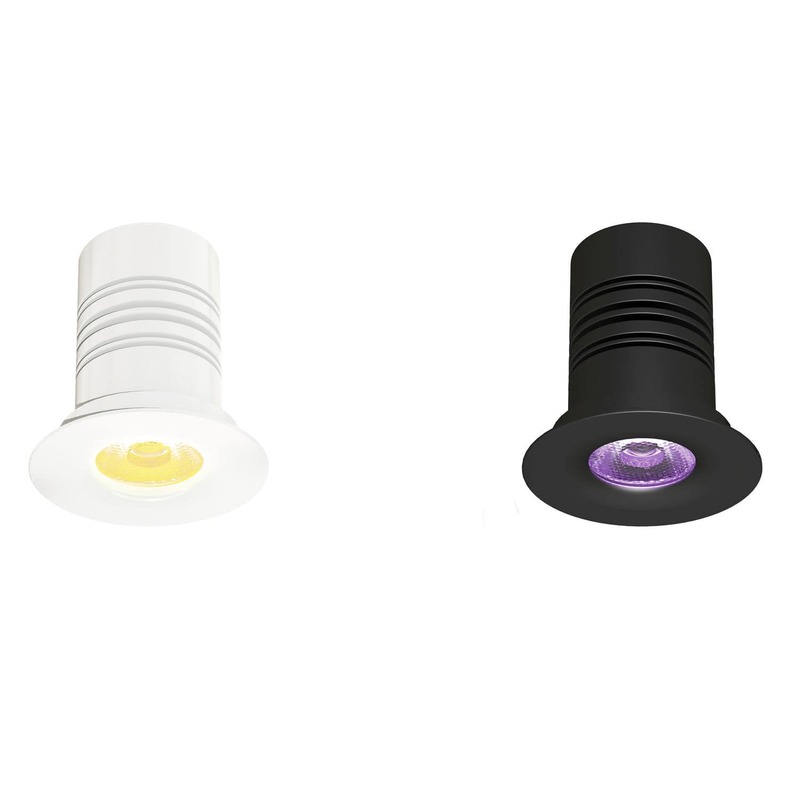 Lighting designers can give their preferences for the LED colour configuration for specific projects. MOQ or extra costs can be charged. Power and data through one single CAT5 (RJ45) cabling system.